The growing family | What Car? 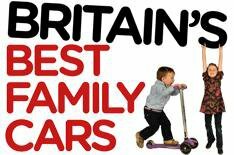 Whether youre a young family on a budget or have a home-made football team to taxi around, youll find the best buys here. This versatile mini-MPV is based on the Clio, but for an extra 200 you get a much larger cabin and sliding rear seats, which give limo-like room in the rear. The Grand Modus might look a bit dumpy, but its comfortable and easy to drive. The punchy and economical 1.2-litre turbocharged petrol engine is a gem, too. Were huge fans of Skodas crossover. It doesnt have the pedigree of some similarly priced hatchbacks, but badge snobs will miss out on a practical car thats enormous inside, refined and good to drive. Although the go-anywhere looks can be backed up by four-wheel drive, wed stick with this cheaper 1.2 front-wheel-drive model. This is our 2010 Car of the Year and thats not an award we give away lightly. The 3008 combines SUV styling with family-friendly practicalities such as flat-folding rear seats and a height-adjustable boot floor. We strongly recommend going for a model with Dynamic Roll Control: without it, the ride and handling let the car down. Ford has just slashed the Mondeos price by 12%. Good thing because, at 24,000, our favourite version was far too dear. Its safe, comfortable and great to drive, and you could get lost in the boot. Zetec trim brings all the equipment most buyers will want, and the 138bhp diesel engine is easily powerful enough. The XC60 blends the desirability of an upmarket SUV with the practicality and running costs of an estate. This two-wheel-drive model is the one to go for its the cheapest XC60 both to buy and to run. SE trim features all of the kit you would expect, as well as a powered drivers seat and electric folding door mirrors. The Roomster offers loads of space for a bargain price. The airy cabin and supple ride make it a pleasant place to travel, while the flexible seating system will cope with a growing family. Not only is the C-Max good to drive, it has a solidly built cabin, with plenty of room for five. You can also extend the big boot by sliding the rear seats forward.